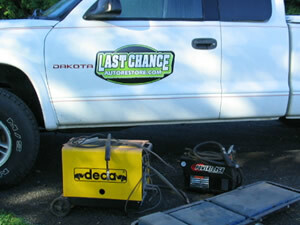 Portable welding and cutting equipment that Last Chance Auto Restore mobile unit brings to you. 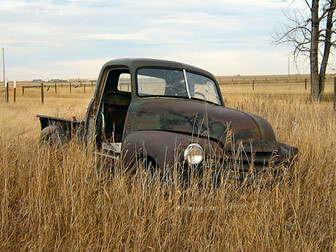 This photo is an example of what can happen on a home project. 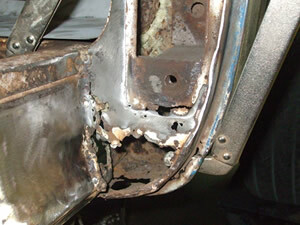 The client removed all of the paint to bare metal only to discover he required metal work on his truck. The vehicle was completely apart and not mobile. He called Last Chance Auto Restore and we came to his home. 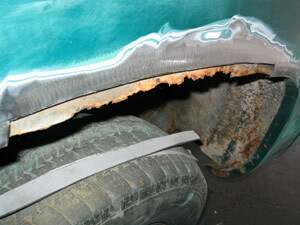 This photo shows one of the steps involved in removing rust out from a truck front fender. We cut the outer rot away and a new pattern piece is made on site. 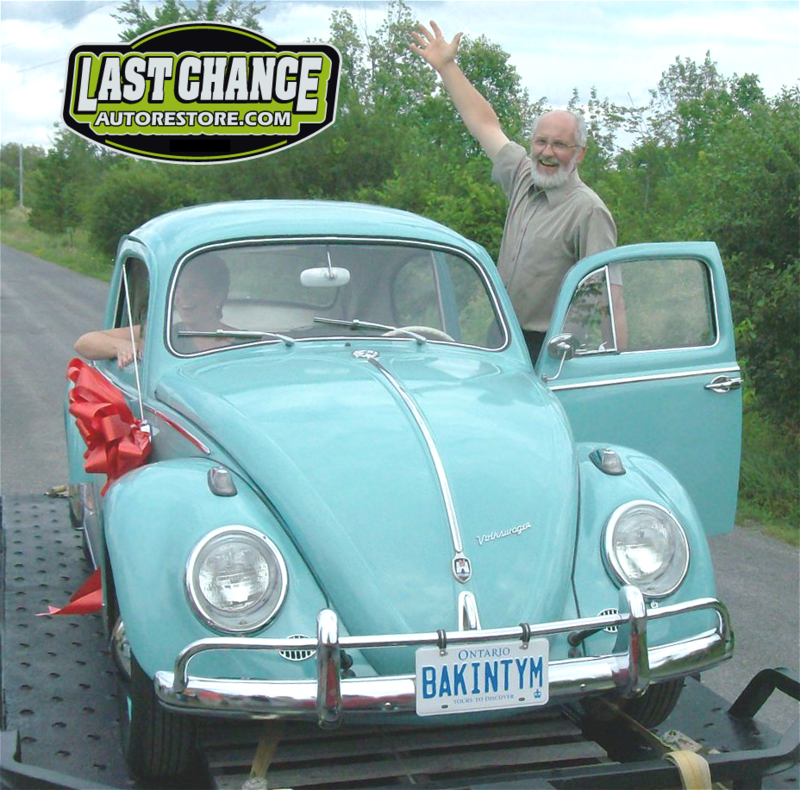 We also do the same thing to the inner fender. In this photo it is ready to be cut out before the new inner piece is installed.